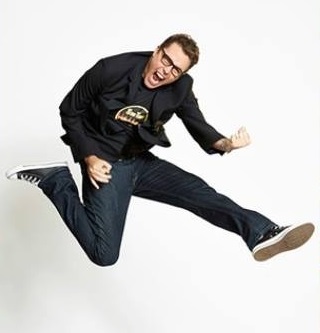 Born in San Francisco, California, Deke Sharon has been performing professionally since the age of 8, and as a child toured North America and shared the stage in operas with the likes of Pavarotti. Heralded as “The Father of Contemporary A Cappella,” he is responsible for the current sound of modern a cappella, having created the dense vocal-instrumental sound in college, subsequently spreading it around the world. Deke produced “The Sing-Off“ worldwide (USA, the Netherlands, China, South Africa), and served as arranger, on-site music director and vocal producer for Universal’s “Pitch Perfect“ & “Pitch Perfect 2“ & “Pitch Perfect 3“ starring Anna Kendrick & Rebel Wilson. Deke founded the Contemporary A Cappella Society while in college, and is responsible for many seminal a cappella programs. His latest project for Disney – D Cappella – launched in 2018. He is also contemporary a cappella’s most prolific arranger, having arranged over 2,000 songs, with many of them in print worldwide with Hal Leonard/Contemporary A Cappella Publishing. He has written 5 books: “A cappella Arranging” (2012), “A Cappella” (2015), “The Heart of Vocal Harmony” (2016), “A Cappella Warmups for Pop and Jazz Choir” (2017) and “So You Want To Sing A Cappella” (2017). He is also the vocal orchestrator for the Broadway’s first a cappella musical: In Transit (2016). As the founder, director and arranger for the House Jacks for almost 25 years, the original “Rock Band Without Instruments,” Deke shared the stage with countless music legends. He has produced dozens of award-winning a cappella albums, created a cappella groups for Disneyland and Disneyworld, and frequently tours the world teaching a variety of topics to students and professional singers. He’s a frequent emcee at events, and gives corporate speeches on business lessons from vocal harmony, to companies like Google and Facebook. His voice can be heard in commercials and video games, including “Just Dance Kids 2.” He is one of only 20 honorary members of the Barbershop Harmony Society since 1938, as well as an honorary member of BYU Vocal Point, and received CASA’s lifetime achievement award in 2016 and the PT Barnum Award for Excellence from Tufts University in 2017.